Towards the end of 2017, we kicked off our first ever Skype Pen Pal program in partnership with university students at Whitman College. Eight female EYC high school and university scholarship students were paired with US partners for bimonthly Skype calls. The program’s objective is for the EYC students to further develop their English language skills through regular communication with native English speakers and for the Skype pen pals to develop a better understanding of each other’s lives, cultures, and values. While time zones and nervousness created some challenges, the chance for our students to practice their English and increase their confidence is an amazing opportunity, and we plan to continue it next Fall, hopefully expanding the program. This spring, we hosted our annual deworming and lice removal program at all EYC schools. Many of our children have lice, and some students’ scalps are too irritated for them to concentrate on their studies. In addition, a number of our students have worms, which impact their overall health. During the program, we provide deworming pills, clean their hair and provide training. This is an important yearly program designed to equip students with a knowledge of hygiene as well as ways to prevent worms and lice. 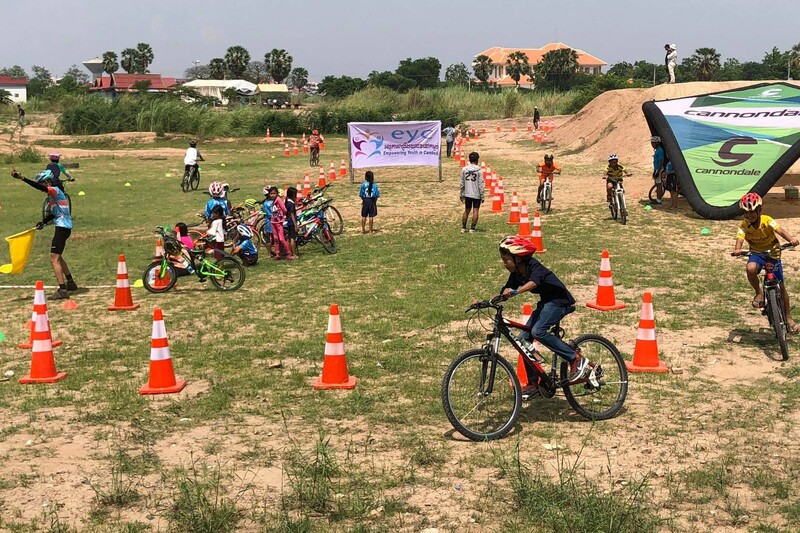 On May 20th, 30 kids (ages 7-12) from all schools participated in a bike event with the goal of creating the next generation of EYC bikers! The event consisted of four races – three categories for boys and one for girls – and medals were given out for the top three competitors in each category. Chhenghour, Nara, the Team Leaders, as well as EYC’s bike team helped organize the event and offered encouragement to the kids throughout the day. Our wonderful partner, Flying Bikes, was invaluable in helping to make this event a reality. Team Leaders are an integral part of EYC. They are responsible for making many EYC programs a reality including sports and library activities. This volunteer position allows the Team Leaders to develop leadership and personal skills and also helps keep EYC costs lower. 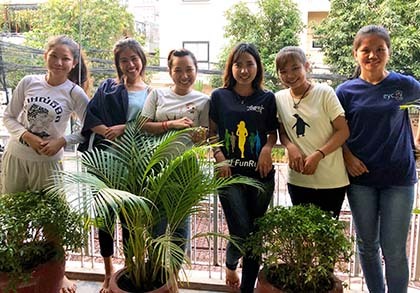 Monthly development programs included a “sound healing” workshop in March, a First Aid training in April, and a pizza party in May with EYC graduate, Simouy, who shared her story of inspiration and what the Team Leaders could achieve through hard work and perseverance.